With over a decade of experience, The Whitehouse Gallery has established itself as one of the leading gallery spaces in South West Scotland, and is gaining increasing notoriety nationwide. Based in the historic Artist Town of Kirkcudbright in South West Scotland, the gallery exhibits a wide range of Fine Art & Craft over six changing exhibitions throughout the year. Spread over two levels, the downstairs is a light and airy open plan space, leading upstairs to three rooms offering a more 'homely' environment for the work to be displayed. The gallery prides itself on bringing together a diverse range of craft from both established and upcoming makers in each exhibition, always looking for new and interesting work to exhibit from across Scotland and the UK. 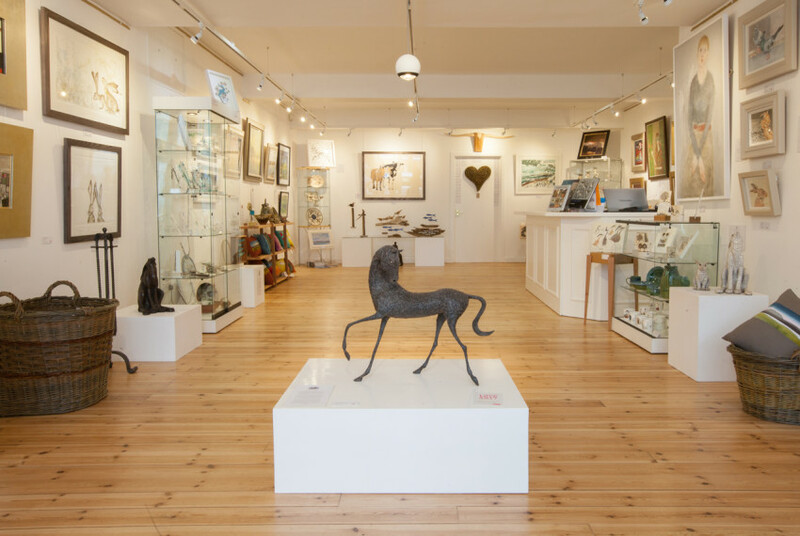 With an emphasis on quality, the gallery stocks anything from textiles, baskets, ceramics, jewellery, and glass through to larger one off pieces of handmade furniture. Much of the work can be seen and purchased on the gallery website. The gallery is a member of the Own Art scheme, whereby any original work can be purchased over ten months interest-free, between the value of £100 - £2500.